This week on CES 2019, Samsung has reportedly showcased the new range of ultra-large television which comes with a 219-inch diagonal at this years CES 2019. Samsung’s future ultra large TVs are regarded as “The Wall.” These TVs are powered by Samsung’s Micro LED technology which offers crisps and high brightness along with deep inky black. The TV essentially competes against the conventional OLED TVs as far as the picture quality is concerned. 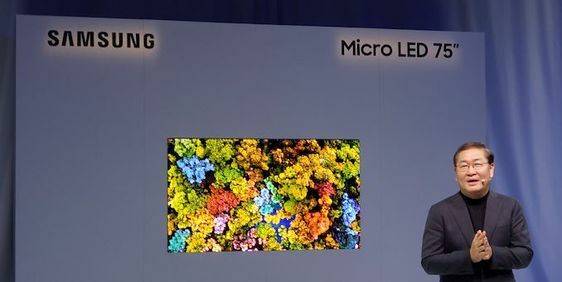 Samsung has separately introduced a 75-inch Micro LED UHD which developed for the general consumers. Is The Wall better than the 4K resolution? The forthcoming 219-inch “The Wall” TV also features an entirely unknown DPI which is allegedly higher than the 4K resolution. And at the same time, it also has a 2,000 nits brightness. The television is also powered by a processor coming from Samsung itself, but it is not known yet. It is presumed that the unknown version of the processor is a Quantum Processor 8K which reportedly powers the Q900-series 8K QLED UHDTV. The processor also supports Samsung’s AI upscaling tech which comes along with some of the other premium capabilities. The wall is much like the Q900-series 8K UHDTV, and it can easily blend with the surroundings for matching by matching the style of the interior. This is one of the features that Samsung is extremely proud of. The Wall can easily be controlled by utilizing a special tablet. In the meantime, Samsung’s prototype 75-inch Ultra-HD TV known as The Window features a 4K resolution and at the same time, it also sports a vivid brightness of around 1,000 nits. The moment The Window is going to hit the market, the peak brightness of the TV will go as high as 4,000 nits. The Window is currently in line with the Q900-series. The Window is based on Micro LED technology which means the television is completely based on the technology of the same name. The Micro LED technology utilizes tens of millions of tiny LEDs that can be controlled individually. There are around 25 Million LEDs in “The Window” which doesn’t require any sort of backlighting, and this is the reason why they offer a very high contrast ratio. 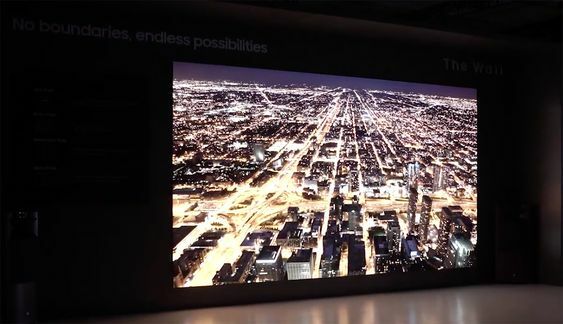 Samsung is currently hoping that its Micro LED technology is going to free of issues which the OLEDs are famous for. The Micro LED technology includes an off-axis color shifting, burn-in, ghosting, etc. One of the added bonuses of Micro LED screens is that they do not require any of bezels which can be made exceptionally thin. The price of the TV is currently unknown at this point. Why is Kate Middleton Not A Princess Like Diana?